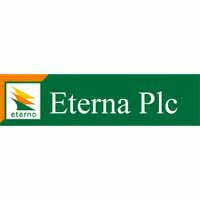 Eterna Plc is looking to scale up its presence in the Nigerian downstream oil and gas sector as the company celebrates its 30th year of operating in the Nigerian economy. It also said that it would be investing in LPG facilities and rolling out of LPG distribution channels using retail outlets and independent distributors, across the whole country. With business focus in fuel supply and lubricants, Eterna said it would also provide competitively priced high-grade lubricants, and utilize its assets to compete favourably in the supply of aviation fuel. The company also announced that its annual audit would be completed in the first half of 2019, in order to meet regulatory timelines and hold the annual general meeting (AGM). As part of the anniversary celebration, the company is launching a continuous company social responsibility (CSR) programme, organizing stakeholder engagements and a retail sales promotion.